US Secretary of State John Kerry urged the European Union on Saturday to put off a planned ban on EU financial assistance to Israeli organizations operating in the West Bank, a US official said. Kerry made the request at a meeting with EU foreign ministers in Vilnius, Lithuania at which he also called on them to support Israeli-Palestinian peace negotiations, which resumed on July 29 after a nearly three-year hiatus. The EU imposed restrictions in July citing its frustration over the continued expansion of Jewish settlements in territory captured by Israeli forces in the 1967 Middle East War. A senior US State Department official told reporters that Kerry called on the Europeans to consider postponing the implementation of EU guidelines on aid. "There was strong support for his efforts and an openness to considering his requests," he said. The guidelines render Israeli entities operating in the occupied territories ineligible for EU grants, prizes or loans, beginning next year. Jewish settler leaders say the aid they receive from Europe is minimal. But many in Israel worry about possible knock-on effects the EU steps may have on individuals or companies based in Israel that might be involved in business in the settlements, deemed illegal by the international community. Israeli-Palestinian peace has been Kerry's main foreign policy initiative since becoming secretary of state on Feb. 1. He is scheduled to brief some League ministers on his peace efforts in Paris on Sunday and then to meet Palestinian President Mahmoud Abbas the same day in London. He is also expected to see Israeli Prime Minister Benjamin Netanyahu soon, though not on his current trip to Europe which ends on Monday. The core issues that need to be settled in the more than six-decade-old Israeli-Palestinian dispute include borders, the fate of Palestinian refugees, the future of Jewish settlements in the West Bank and the status of Jerusalem. While the main top story in the three Palestinian Arabic dailies printed on Saturday was the clashes between Palestinian Muslim worshippers and Israeli police at al-Aqsa Mosque in Jerusalem after the Friday prayer, two of the dailies also highlighted statements by President Mahmoud Abbas that if Israel goes back on former understandings, the Palestinians will also go back on the principle of land swap. The three dailies reported extensively on the confrontations that broke out following a police raid of the mosque compound to stop Palestinians angry at Israeli attempts to change the status quo of the mosque and turn it into a Jewish prayer place. They printed pictures of the confrontations with the Dome of the Rock in the background. However, Al-Quds and al-Hayat al-Jadida also highlighted statements Abbas made to a visiting Arab athletic delegation in which he threatened to withdraw his land swap idea and demand all of the territories Israel occupied in June 1967 if the Israeli government goes back on agreements on borders and security reached with former Israeli governments, mainly the one run by Ehud Olmert. He said that Olmert at the time talked about land swap amounting to 6% of the area of the West Bank while the Palestinians proposed 1.9%. 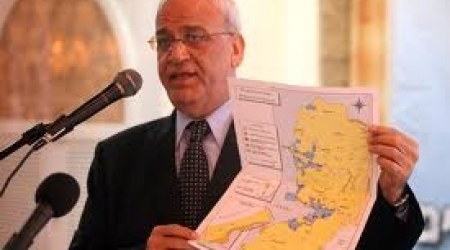 “We told the present Israeli negotiators that if you want to go back on what was agreed with Olmert, we will go back on our agreement for a land swap and so we will ask for all of the 1967 land as is,” al-Hayat al-Jadida quoted Abbas saying. Al-Quds said in the same report that Abbas told his guests that the current negotiations are discussing borders and that the Palestinians have presented their views on this subject, which were based on the understandings reached with Olmert. But, he added, the Israelis wanted to scrape the understandings reached on borders and security. Abbas said that a negotiations round was held on Wednesday and a security negotiations meeting headed by the US military envoy General John Allen will be held on Monday, without specifying where and when it will be held or who will attend it. The dailies also printed statements by Minister of Prisoners Issa Qaraqi in which he said that the second patch of Palestinian prisoners to be released by Israel will be on September 29. He said the third group will be released on December 29 and the fourth and last of the 104 pre-Oslo prisoners will be released on March 28. Israel has agreed to release all prisoners held since before the signing of the Oslo agreement in 1993 in four stages as long as negotiations are underway. Al-Ayyam said in a story from Gaza that Hamas has announced that it uncovered a major plot by Israeli, Palestinian Authority and Arab intelligence to attack Gaza. It reported on the press conference Hamas’ interior ministry spokesman Islam Shahwan gave in Gaza and in which he accused intelligence from Israel, the PA and some Arab countries to plotting together to weaken Hamas six-year-old control over Gaza. Other topics tackled by the dailies covered the Israeli army crackdown on the weekly protests in West Bank villages against the segregation wall and settlements Israel is building on Palestinian land. They also highlighted the G20 summit in St. Petersburg, Russia, saying that the meeting ended without agreement on the Syrian crisis. Hundreds of people marched in Ramallah on Saturday to protest against peace negotiations with Israel. 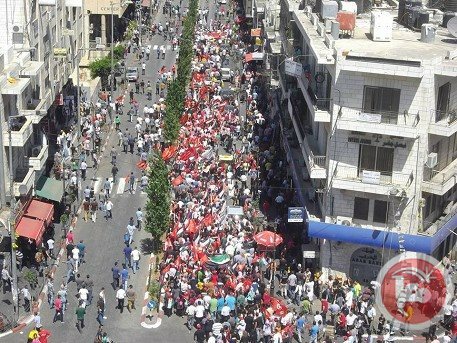 The march was organized by the Popular Front for the Liberation of Palestine to protest a return to peace talks and to commemorate the 12th anniversary of Abu Ali Mustafa's death. At least 1,000 people marched towards the presidential headquarters in the Muqata chanting slogans against negotiations. "We are against the negotiations because they don't serve the interests of the Palestinian people," PFLP leader Abdulrahim Malouh told Ma'an. "We remain with our people's right to return, independence, and self-determination," he added, calling for national unity. Senior PFLP official Khalida Jarrar said the demonstration aimed to send a message that the PLO must stop negotiations. "We came to deliver a political voice dismissive of the negotiations," she said. PFLP official Omar Shehadeh criticized a heavy PA police presence at the demonstration, saying it created division between the PA and the people. 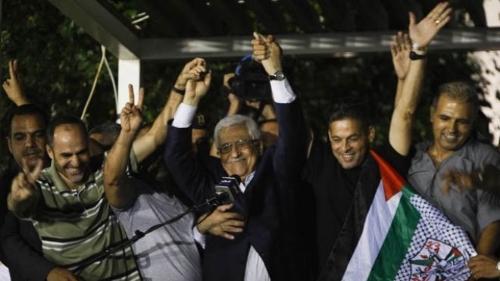 All major Palestinian political factions, with the exception of Fatah, have rallied against a return to negotiations. Israeli and Palestinian negotiators formally resumed direct peace talks earlier last month after a hiatus of nearly three years, thanks to an intense bout of shuttle diplomacy by US Secretary of State John Kerry. The second batch of the long-serving prisoners will be released on October 29th, said Ramallah minister of prisoners' Affairs Issa Qaraqe. Qaraqe said Friday during a meeting with a number of the prisoners’ relatives that the third batch will be released on December 29th, while the fourth on March 28th , 2014. All long-serving prisoners detained before the signing of Oslo Accords in May 1994 will be released as the agreement concluded by Palestinian Authority (PA) and Israel. 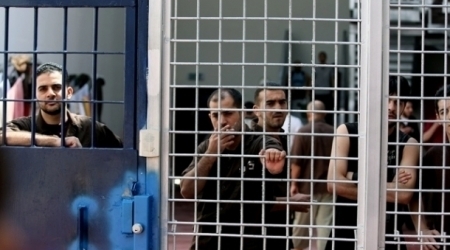 The Israeli occupation authorities released in the middle of August 26 prisoners as the first batch out of 104 prisoners in conjunction with the resumption of negotiations between the PA and the Israeli occupation after a 3-year-long stalemate. The minister stressed that the release of prisoners is not linked to the development in the negotiations and that no prisoner will be deported away from home. Ahrar Center for Prisoners’ Studies and Human Rights documented 250 detentions in August alone, 5 from the Gaza Strip and 245 from the occupied West Bank. The Palestinian Legislative Council (PLC) condemned the PA decision to resume absurd talks that provide a cover for Israeli crimes, settlement and Judaization schemes against al-Aqsa mosque and occupied Jerusalem. The PLC called on PA forces to stop the persecution of resistance leaders in West Bank to put an end to the Israeli violations and schemes. MP Mahmoud al-Zahar stressed the importance of the Palestinian constants, calling for a broad campaign against resumption of negotiations and security coordination that have become PA constants. For his part, Palestinian lawmaker and chairman of the Jerusalem committee in the PLC MP Dr. Ahmad Abu Halabia pointed out to the Israeli continued excavations under al-Aqsa mosque where chemical materials are used to break up the mosque's foundations. The occupation authority works at increasing settlements and synagogues' numbers around al-Aqsa mosque, he added. He pointed out to the Israeli Talmudic gardens and the alleged Temple buildings that were built in the vicinity of al-Aqsa mosque in order to blur Islamic monuments particularly in Umayyad palaces. The MP Abu Halabiya called on Islamic and national forces to unite their efforts and activate the armed resistance in defense of the Islamic holy sites and Jerusalem. 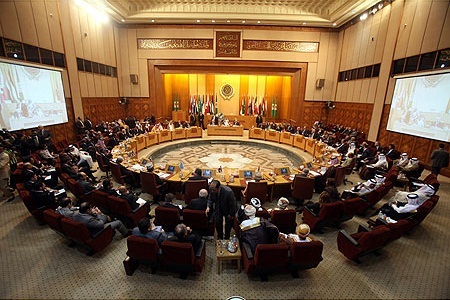 He also called on the Arab League and the Organization of Islamic Cooperation to bear their responsibilities towards Jerusalem and al-Aqsa mosque and called on Arab leaders to support the Jerusalemite steadfastness, stressing the need for a campaign to expose the Israeli schemes and violations at international forums. The PLC called on the Secretary-General of the UN Security Council, the Human Rights Council and the UN General Assembly, and the International Criminal Court (ICC) to provide a legal and practical protection for the city of Jerusalem and its Islamic and Christian holy places. For his part, MP Khalil al-Haya stressed the need to organize an international conference to identify and reveal the Israeli violations in the holy city. Israeli medial sources have reported that the current direct Israeli-Palestinian political talks are focused on a Palestinian state with temporary borders, and on security arrangements in the occupied West Bank. The sources said that Chief Palestinian Negotiator, Dr. Saeb Erekat, and Israeli Justice Minister, Tzipi Livni, held a meeting in Jerusalem, but did not reveal any further details. Israeli Yedioth Aharonoth has reported, Thursday, that a senior Palestinian source said that Tel Aviv “offered” a temporary state for the Palestinians on %60 of the occupied West Bank, without removing any settlement, or military base. The paper said that the latest leaked information about the talks is the first detail since negotiations were resumed, especially since Israel and the Palestinians are committed to discretion as requested by U.S. Secretary of State, john Kerry. It added that the Palestinian official revealed the information on condition of anonymity, and said that the Palestinians rejected the Israeli offer, as they fear that any temporary agreement with Tel Aviv will turn into a permanent one. “They told us let’s talk on establishing a state with temporary borders”, the official said, “We told them let’s agree on establishing a state in the 1967 borders, and then we can gradually agree on the nature of this state”. Furthermore, the official stated that the two sides have not started talks on borders, and that the talks are focusing on security arrangements. “Israel wants to maintain control on the Jordan Valley, wants early warning stations, and wants to keep a military base in the Jordan border”, he added, “Israel is using the agenda of security in to continue the illegal confiscation of Palestinian lands; Tel Aviv did not show any interest in removing settlements, it is interested in maintaining control on %60 of the West Bank”. US Secretary of State, John Kerry, will meet with Palestinian President Mahmoud Abbas in London next week to discuss ongoing Israeli-Palestinian peace talks, the US State Department announced on Thursday. 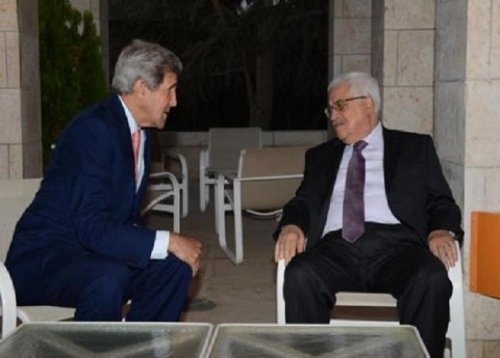 State Department Spokeswoman, Jan Psaki, said in a statement that Kerry will meet with Abbas at the end of a September 6-9 trip that will also take him to Lithuania and France, where he will meet Arab League representatives to update them on the state of the peace process. According to the statement, Kerry will discuss a range of issues including the ongoing peace talks between the Israelis and Palestinians and the effects of Israel's continued settlement construction on the continuity of negotiations. The Palestinians expressed dissatisfaction with the talks and described them as "futile". Israel continues to obstruct the talks by refusing to discuss the borders of the Palestinian State and is determined to keep approximately 40% of the West Bank's territories under full Israeli sovereignty for security reasons. These terms are unacceptable to Palestinians. Palestinians are also disappointed with Israel's ongoing settlement construction and the insufficient participation of US mediator Martin Indyk in the negotiations. It's worth mentioning that direct talks between Israel and the Palestinians resumed on July 29, after Kerry shuttled between Jerusalem, the West Bank, and Amman for several months, seeking to end a three-year stalemate in the negotiations. Minister of Endowments and Religious Affairs in Gaza Dr. Ismail Radwan condemned the repeated raids into Al-Aqsa Mosque and the calls by the settlers and the Israeli official institution to storm Al-Aqsa Mosque. The Minister hailed the Palestinian people who took part in the mass rallies which have been organized to the Al-Aqsa Mosque since Tuesday night to defend the mosque and the dignity of the Arab and Islamic nation. 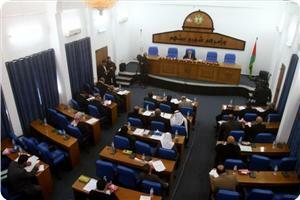 He denounced the closure of the doors of the Mosque and the attacks on the worshipers inside its squares. "In light of the Arab preoccupation with internal events, the Israeli occupation has continued its policy of Judaization and incursions," Radwan said, calling on the nation not to forget about the central issue which is the issue of Al-Aqsa Mosque. He warned the Israeli occupation of the repercussion of these repeated incursions and attempts to Judaize Al-Aqsa Mosque and called on the nation's peoples, leaders and scholars to defend the Mosque. 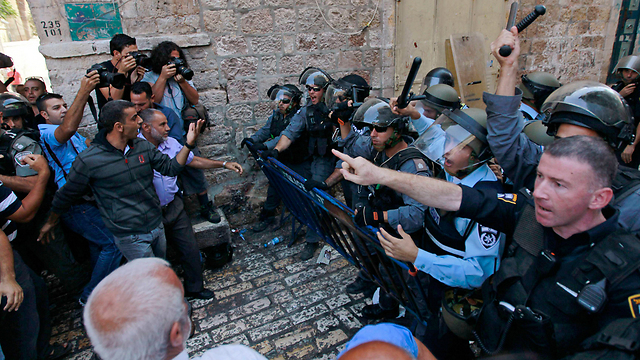 He also demanded the media to expose the occupation practices and to urge the people defend the holy sites. The Minister of Endowments called on Ramallah authority to release the resistance and halt the futile negotiations and security coordination with the occupation, stressing that the negotiations encouraged the raids and aggression. For his part, media spokesman for the Al-Ahrar Movement engineer Yasser Khalaf said during his participation in the march of the Palestinian forces and factions that the liberation of Jerusalem can only be achieved through the resistance. Khalaf considered in a statement on Wednesday that the march, waged on Wednesday, "reflects the position of all spectrums of the Palestinian people rejecting the Israeli policy against Jerusalem and Al-Aqsa Mosque." He pointed out that all the occupation practices targeting Jerusalem, including the Judaization, the excavations and the displacement of its people will not succeed in changing its Arab and Islamic reality. Khalaf called on the Palestinian negotiator to stop the negotiations that are held in light of the occupation's continued violations. He stressed that the land and the holy sites could not be liberated through the futile negotiations that gave cover for the occupation's attacks, but through the armed resistance. Media spokesman for Al-Ahrar Movement urged the Arab and Islamic nations to shoulder their responsibilities, support the steadfastness of the Jerusalemites and defend the Islamic holy sites. He also demanded the masses of the Palestinian people in the 1948 occupied territories to intensify their presence in the Al-Aqsa Mosque and protect it from the settlers. The Lebanese newspaper al-Mustaqbal reported that Palestinian sources said top IDF brass attended the Israeli-Palestinian peace talks this week to discuss security questions. According to the report, the Palestinians said in the meeting they will accept only NATO forces security for border crossings, without Israeli presence, for a period of no more than 10 years. Sha’ath continued, saying temporary solutions would only be a “recipe for the formation of new settlements in empty Palestinian areas [of the West Bank]," according to the Jerusalem Post. 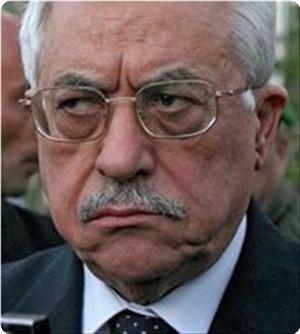 Stressing the fact that the Palestinian Authority has continued to support and participate in the talks, Sha’ath also pointed out that Israel has insisted on “maintaining the Jewish nature of the state as well as [maintaining] control of the Jordan river,” and has not recognized agreements that were decided on during the Oslo Accords. Throughout the recent negotiations Israel approved the building of over 3000 illegal housing units in the occupied West Bank and East al-Quds. This continuation of the settlement policy is seen as “destroying any possible chance of [a deal],” according to Yasser Abed Rabbo, a senior aide of PA President Mahmoud Abbas. Rabbo also said on Wednesday that the negotiations seem to be pointless due partly to a lack of pressure from Washington. Israel has proposed to establish a Palestinian state in provisional borders in return of leaving intact dozens of Jewish settlements and military bases in the West Bank, a Palestinian official told The Associated Press on Wednesday, in the first detailed glimpse at recently re-launched peace talks. The official said the proposal is unacceptable to the Palestinians, underscoring the tough road ahead as the sides try to reach an agreement ending decades of conflict. The official spoke on condition of anonymity because Israel and the Palestinians have pledged to US Secretary of State John Kerry not to discuss the content of their talks with the media -- a pledge that has largely held up until now. For their future state, the Palestinians seek the West Bank, east Jerusalem and Gaza Strip, territories captured by Israel in the 1967 Mideast war. With Israeli Prime Minister Benjamin Netanyahu opposed to a return to the pre-1967 lines, the idea of a Palestinian state in temporary borders has gained appeal with the Israelis. Such a deal could give the Palestinians independence, while leaving the thorniest issues, such as the fate of Jerusalem and the status of millions of Palestinian refugees and their descendants, to later negotiations. The Palestinians reject any notion of a provisional agreement, fearing that a temporary arrangement that falls short of their dreams will become permanent. Talks resumed in late July after a nearly five-year break stemming largely from Israeli settlement construction. 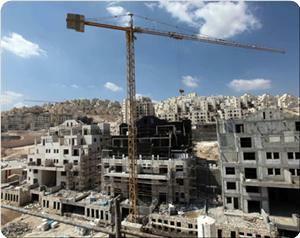 The Palestinians have objected to Israeli construction in the West Bank and east Jerusalem. The Palestinians say these settlements, now home to more than 500,000 Israelis, make it increasingly difficult to partition the land between two people. In East al-Quds (Jersualem) Israeli bulldozers are leveling more Palestinian land to expand the illegal settlement of Pisgat Ze’ev by an additional 620 housing units. Pisgat Ze’ev is one of five major Israeli settlements, housing over 50,000 Israelis and was established in East al-Quds after the Six-Day war of 1967. 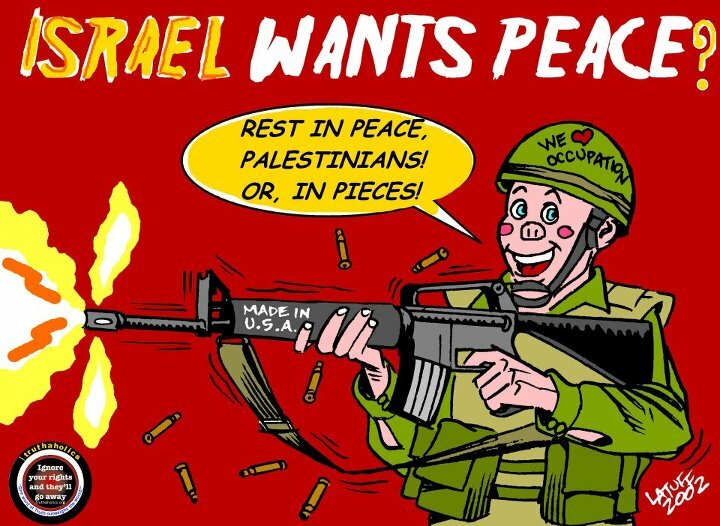 Since the recent resumption of the “peace negotiations,” Israel has announced plans to construct more than 3,000 new housing units in the occupied West Bank and East al-Quds, each of which is a violation of international law. Additionally, PressTV reported that these units are built at the expense of Palestinian lives and rights, quoting a Stop the Wall Campaign coordinator. The Campaign coordinator continued, saying the re-starting of negotiations has only seen an increase in illegal settlement building activity, which suggests Israel’s lack of sincerity around the talks. Israeli and Palestinian negotiators met on Tuesday for the latest round of talks. The settlements are considered illegal by the United Nations and most countries because they are being built on land that has been occupied by Israel since the war of 1967, and are therefore subject to the Geneva Convention, which prohibits construction on occupied territories. The World Bank transferred today an amount of about US$72.2 million to the Palestinian Authority from the Palestinian Reform and Development Plan Trust Fund (PRDP-MDTF), a multi-donor budget support to encourage the continued prostitution of Palestinian Authority to sit with the Israeli zionists and “sell” the rest of Palestine to the colonial occupation easily. The funds contributed by the governments of Kuwait, Australia and the United Kingdom will help support the urgent budget needs of the Palestinian Authority (PA), providing inter alia support for education, health care and other vital social services for the Palestinian people and for the economic reforms currently underway. The World Bank PRDP Trust Fund was established on April 10, 2008, through an agreement signed between the World Bank and the Palestinian Authority during the 2008 World Bank-IMF Spring Meetings. It is a central component of a World Bank’s effort to support the ongoing Palestinian Reform and Development Plan. Currently, the PRDP-MDTF donors are the governments of Australia, France, Kuwait, Norway, the United Kingdom, and Japan. With the new tranche release, the PRDP-MDTF will have disbursed about US$1.1 billion. On July 8 2013 – Kuwait and the World Bank signed a US$50 million grant agreement to support the ongoing Palestinian Reform and Development Program (PRDP). This amount is in addition to the $230 million that Kuwait has provided to the PRDP World Bank-administered multi-donor trust fund since 2008. The agreement was signed by Sheikh Salem Abdullah Al-Jaber Al-Sabah, Ambassador of Kuwait in Washington, DC, and Inger Andersen, World Bank Vice President for the Middle East and North Africa region. Merza Hasan, World Bank Executive Director and Dean of the Executive Board witnessed the signing. “The State of Kuwait is committed to support the Palestinian Authority, as it has always done, and will remain engaged and committed to ensure the social and economic well-being of its citizens,” said Ambassador Al-Sabah. Israel has proposed leaving intact dozens of Jewish settlements and military bases in the West Bank as part of a package to establish a Palestinian state in provisional borders, a Palestinian official told The Associated Press on Wednesday, in the first detailed glimpse at recently relaunched peace talks. The official said the proposal is unacceptable to the Palestinians, underscoring the tough road ahead as the sides try to reach an agreement ending decades of conflict. 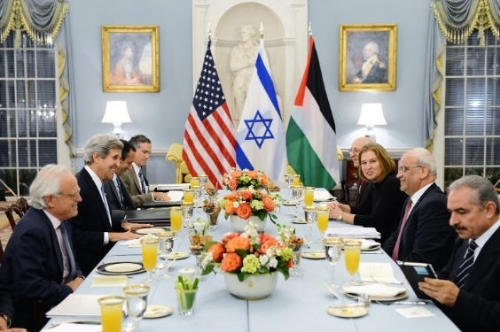 After months of US mediation, the Palestinians agreed to resume talks. Although Israel did not pledge to freeze settlement construction, US officials have said they expect both sides to avoid provocative moves. Negotiators have been quietly meeting once or twice a week for the past month or so. The Palestinian official said formal talks on borders have not yet started, and that negotiations have focused on security matters. He said the Israelis want to retain control of the West Bank's border with Jordan, keep early-warning stations on hilltops, and retain military bases near the Jordanian border. "Israel is using the issue of security to take land," he said. "From the general discussions we had in the last couple of weeks, the Israelis have shown no intention to dismantle any settlement." He said the current proposals indicated that Israel would seek to retain control over about 40% of the West Bank. "They said, 'Let's discuss a state with provisional borders.' We said, 'Let's agree on a state based on the 1967 borders first, and then we can agree on having this state in phases." In the previous round of talks, conducted in 2008 under then-Prime Minister Ehud Olmert, Israel offered to withdraw from roughly 94 percent of the West Bank, and compensate the Palestinians with the equivalent of 6 percent through a "land swap" that would allow Israel to keep major settlements. Olmert also proposed international administration of Jerusalem's holy sites. The official said the Palestinians have proposed resuming peace talks from the point they broke off. Netanyahu has said he is not obligated to accept Olmert's proposals. A senior Israeli official refused comment on the Israeli proposal, citing the commitment to keep the talks secret. "It was agreed between the sides that all public discussion about the negotiations would be through the Americans," the Israeli official said, speaking on condition of anonymity because he was not authorized to talk to the media about the issue. Netanyahu's office declined comment, citing the pledge not to discuss the negotiations in public. Likewise, there was no immediate US comment. In a statement released for the Jewish new year holiday that began Wednesday evening, Netanyahu said he hoped the talks would succeed. "We seek to advance peace with the Palestinians while maintaining our security and ensuring that the peace will be a real and enduring peace. Not a ceremony, not an agreement that we celebrate for two minutes and then collapse," the statement said. "We want a real, genuine and enduring peace and this must be anchored in recognition of Israel as a Jewish state and in our security. This is what ultimately is needed." 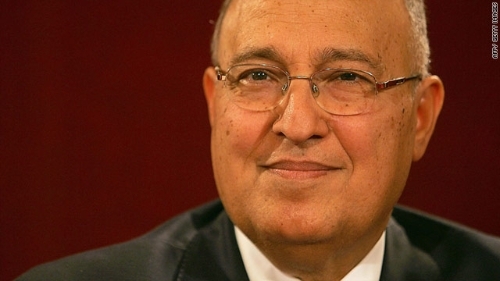 Yasser Abed Rabbo, a top aide to Palestinian President Mahmoud Abbas, would not discuss the specifics of the talks. But speaking on the Voice of Palestine radio station, he said, "Until now, there are no signs of progress. The Israeli position has not changed. 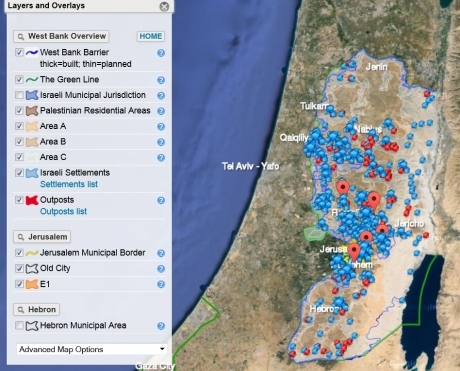 It's the one that we know on the ground, through daily settlement expansion." He urged the US to put pressure on Israel. Otherwise, he said, "there will be no progress." Earlier Wednesday, Israeli police arrested seven Palestinians after clashes between stone-throwing demonstrators and Israeli security forces in Jerusalem's Old City. Police spokesman Micky Rosenfeld said the clashes erupted when about 300 Palestinians tried to block a group of visitors from reaching a sensitive hilltop compound revered by both Jews and Muslims. He says masked demonstrators began to throw stones, prompting security forces to move in. He says some demonstrators sought refuge inside the nearby Al-Aqsa Mosque. Police did not enter the mosque, and no one was injured. The compound, known to Jews as the Temple Mount, is the holiest site in Judaism. Known to Muslims as the "Noble Sanctuary," it is Islam's third-holiest site. Rosenfeld said security has been heightened for the Jewish New Year holiday. The Palestinian Authority government decided on Tuesday to provide "grants" to Palestinian prisoners who were recently released from Israeli prisons. A statement issued by the government following its weekly meeting in Ramallah said that the "grants" were being presented to the prisoners in honor of their "sacrifices and in order to guarantee them a suitable standard of dignified living." The government did not say how much each prisoner would receive. The decision concerns the 26 prisoners who were released by Israel on the eve of the resumption of the peace talks with the PA. The prisoners were imprisoned before the signing of the Oslo Accords. 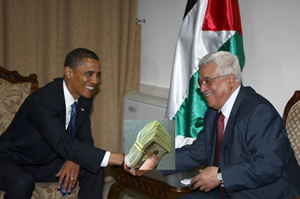 The PA regularly provides financial support to Palestinian prisoners and their families, including some who are not affiliated with President Mahmoud Abbas's Fatah faction. After five rounds of Palestinian-Israeli negotiations, no progress what so ever has been achieved so far, said Yasser Abed Rabbo, secretary of the Executive Committee of the Palestine Liberation Organization, on Wednesday. Negotiations resumed at the end of July following three months of US mediation and they are expected to reach results within six to nine months. “So far, there are no signs at all that these negotiations have achieved any progress,” said Abed Rabbo speaking on Voice of Palestine. Abed Rabbo said he does not expect to see any breakthroughs any time soon without pressure and active intervention from the US administration similar to what it is doing now to solve the Syrian crisis. The Arab League said Tuesday an Arab ministerial delegation would meet US Secretary of State John Kerry in Rome on Sunday to discuss Israel-Palestinian peace talks. The meeting would discuss "the best ways to provide the necessary support for the success of these negotiations," Nassif Hetti, spokesman for Secretary General Nabil al-Arabi told reporters. "We have always insisted on setting a definite time limit for these negotiations," he added. A Palestinian official told AFP on Monday that Israeli and Palestinian negotiators met over the weekend without reaching a "breakthrough." Talks between the two sides, which were relaunched during initial meetings in Washington at the end of July after intense diplomatic efforts by the United States, have taken place under a US-imposed media blackout. In mid-August, Israel angered the Palestinians by announcing it would construct more than 2,000 additional settler homes in the occupied West Bank and annexed east Jerusalem. The Israeli Occupation continued its confiscation policy against Palestinian territories where the Israeli bulldozers have begun recently expanding Bzjat Ze'ev settlement, built on Beit Hanina lands in occupied Jerusalem. Nearly 620 housing units are planned to be added to the settlement. Settlement expert researcher Ahmed Sab Laban stated that the Israeli authorities started the process of building infrastructure networks in the area including electricity transmission and distribution networks, water and sewage utilities as a prelude to establish 620 new housing units to Bzjat Ze'ev settlement. 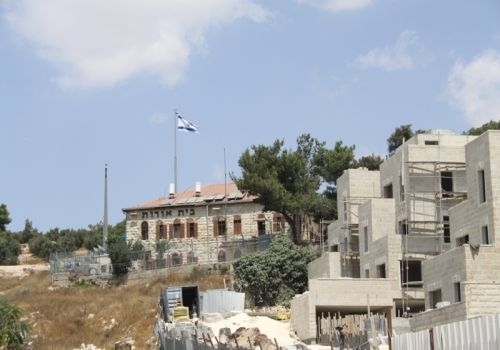 The establishment of the new housing units would isolate 50 Palestinian families living in a Jerusalemite neighborhood from Beit Hanina town, he said. Sab Laban said that the new housing units will be established in high rise residential towers ranging from 9 to 13 storeys, while the Jerusalemite residents are prevented to obtain building permits to establish high rise buildings. The Israeli occupation authority has surveyed the area to expand Bzjat Ze’evin in order to finish with the building of street no. 20 that will connect the settlement of Pisgat Ze’ev, Prophet Jacob, Anatot, Shuafat and Beit Hanina, Sab Laban stated. Secretary General of the Palestinian National Initiative, Dr. Mustafa Barghouthi, called for stopping direct talks with Tel Aviv, and said that these talks are meaningless, and will only lead to a mirage without a positive outcome. 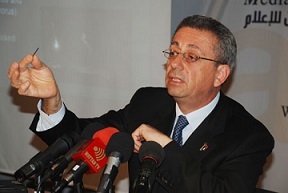 Dr. Barghouthi said that talks cannot be held while Israel is ongoing with its violations and assaults, amidst ongoing and seriously escalating settlement construction and expansion activities, especially in occupied East Jerusalem, and home demolitions in the Jordan valley. He said that Israel is using the resumption of direct talks as a cover-up for its crimes and assaults, and its illegitimate settlement activities. 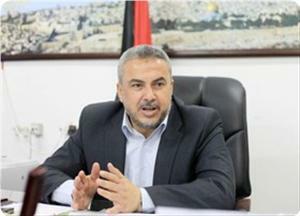 “Five Palestinians have been killed by the army since direct talks started”, Barghouthi added. He further said that the army kidnapped more than a hundred Palestinians since it released 26 detainees, imprisoned since 1993, as part of the deal for the resumption of peace talks. “Israel is practicing ethnic cleansing against the Palestinian people”, Dr. Barghouthi said, “At least 800 Palestinians have been displaced since the beginning of the year as Israel demolished more than 400 homes in Jerusalem and the Jordan Valley”. “Betting on negotiations with the Netanyahu government is just an illusion, a mirage”, Dr. Barghouthi said, “We need a strategy of national unity, restoring democracy, a significant increase of popular resistance against Israel’s Apartheid Wall and settlements, and complete boycott of all Israeli products”. 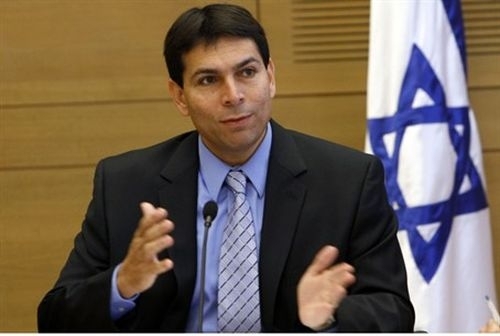 Israel's Deputy Defense Minister, Danny Danon, said on Tuesday that the Likud would not permit any of its lawmakers to support an interim agreement with the Palestinians, The Jerusalem Post Israeli newspaper reported. Danon, one of the more prominent hawks in Israel's Prime Minister Binyamin Netanyahu's party, told Israel Radio that any faction member who backs an arrangement that "gives away our assets in exchange for nothing" will be removed from the Likud. He also said that he trusted Netanyahu to avoid making the mistake of clinching an interim deal, adding that there is no indication that Netanyahu was considering such an option, according to JPost. A new meeting to continue the negotiations process between Israelis and Palestinians is due to take place today, September 3rd, in the occupied al-Quds, following a meeting that was held between Saeb Erekat and Tzipi Livni Saturday evening. Palestinian well-informed sources told Al-Watan Saudi newspaper in Ramallah, that negotiations are not progressing and still stuck on the debate of its agenda. The sources added, Israel is determined to discuss the issues of security first, while Palestinians insist on finalizing all the issues that were put on the negotiations table. 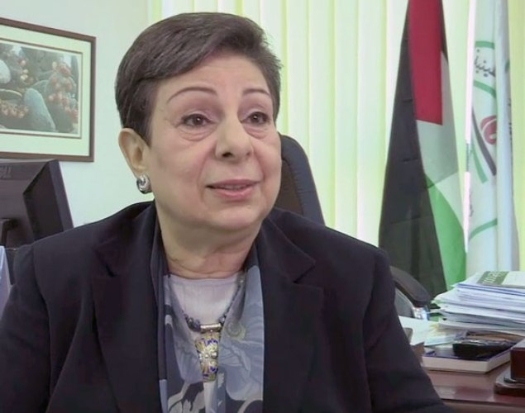 PLO Executive Committee Member Dr. Hanan Ashrawi welcomed and met on Monday, with the newly appointed Spanish Consul General, Mr. Juan José Escobar, at the PLO Headquarters in Ramallah. During the political briefing with Ambassador Escobar, Dr. Ashrawi expressed gratitude for Spain's continued support of the Palestinian struggle to achieve freedom and self-determination: "This plays a significant role in our efforts to end the illegal Israeli occupation of Palestine and to establish a sovereign and democratic Palestinian state on 1967 borders with East Jerusalem as its capital." Dr. Ashrawi also reiterated her appreciation to Spain for voting in support of Palestine's enhancement of status at the United Nations. The discussion also covered the issue of Palestinian reconciliation status and efforts as well as the ongoing negotiations and Israeli violations on the ground. Both parties also discussed issues of mutual cooperation.